This is a local triathalon in the Chicago Suburbs (Click here to see which one.) Then I will race in the Chicago Triathalon in late August at an Olympic distance. So the one in June will help this newbie learn how to transition and get a feel for a Tri from start to finish. Then we hit the big race in August, which will give me another couple of months to train. So what drives someone to do a traitahlon? I mean, isn’t it kind of …extreme? Hmmm. Lets break it down. The last time I swam was when I belonged to a gym which was probably back in 2008. So I have some work to do on my bringing up my swimming stamina. The good news is that my legs and back are the strongest they have ever been. I bought a wetsuit earlier this year, so I am looking forward to attending some local lake open swims so I can get used to that aspect. 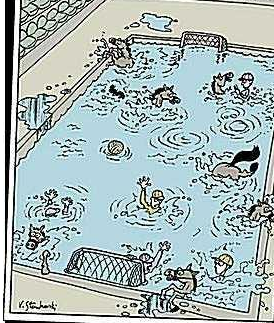 Most of the swimming in Water Polo is heads up so I think that skill will come in handy because I hear it is real chaos. When I think of biking, I think of my Dad and I. He used to take me to the Chicago Botanical Gardens on their paths. I have some really great memories of our 20-25 mile bike rides. After college, my biking dropped off. I really didn’t even have a bike besides for an old one my Dad gave me. Last summer, my wife and I decided to get some new bikes. All my kids were now riding bikes and we could make it a family event. So still having the triatahlon “maybe one day” bug, I asked for a bike that would be a good triathalon bike as well. So I bought a Trek 7.5 FX which is a really nice road bike. (Well it was the most I was willing to spend at the time.) 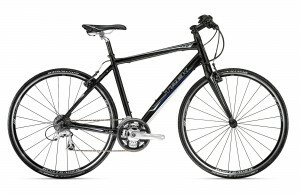 With my new investment, I started biking more and even doing bike / run combos. I have always had this triathalon thing nudging me. I did not bike for long distances because most of the time I went with my kids. So now, I will need to start putting some real mileage on this baby. I got a nice computer for it that measures just about everything. I am looking forward to getting into biking more and getting my mileage up. I may even splurge and get some new cycling shoes. For the most part I have been a pretty active person my whole life. 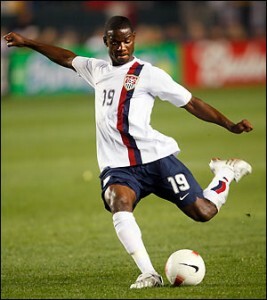 I played soccer since I was six and played in high school. My high school soccer training was the first time I was really pushed with my running. Long runs, sprints, ladders, you know the drills. By senior year I realized I could not take the whole summer off and just jump into double practices in the fall. So that summer I created my own regime to be more prepared. Post college, running became my exercise of choice. It was easy, I enjoyed it, and it always gave me a good sweat and rush of endorphins. When I started P90x, I actually didn’t run for a good 8-9 months. I did P90x, P90x Plus, and Insanity back to back and by the book. I ran one 5K last fall after Insanity and ran my best time ever. (What does this tell you about these programs!?) When I started my hybrids, I began incorporating running more and now with a 10 mile race in May, I am running 3 times a week. I am not a fast runner, but I am not going for speed or time. I am going to enjoy the ride and thrill of victory at the finish line to know I am now a triathelete! I copy Steve Edwards blogs quite a bit because he is a fitness guru by trade and I just play one on TV. 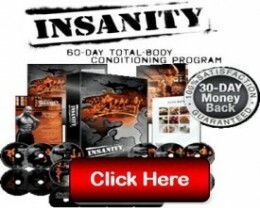 Below is a great article he wrote last year on Customizing P90x with triathalon training. 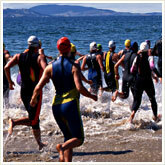 The good news about those aspiring to be triatheletes (or already are) is that there is an extreme nature to us. So mixing P90x and Tri training seem to be a match made in heaven. 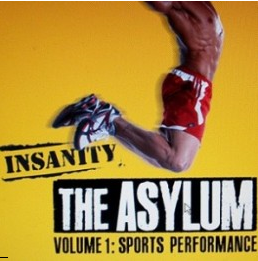 I also plan on doing Insanity: Asylum when I get my copy (hopefully next week) so I need to work that in with my Tri training. Yup, I must seriously have a screw loose. As it warms up in Chicago, I will be working swimming into my weekly routine as well as some biking. As I evolve my specific training plan, I will keep you all updated. Just as that last rep finished on completing P90x for the first time, this training will make me stronger and at the end, I will ready to take on P90x2! 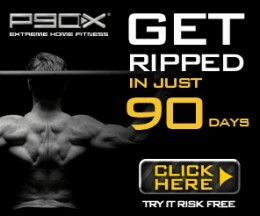 Here is a Beachbody Video on P90x Training for Triathalons! Mixing P90X and triathlon training is not something that’s an obvious fit. After all, triathletes have three sports to train for already. And beyond that, they’re some of the most notorious overtrainers on the planet. But as you well know if you’ve read this series of articles, training hard doesn’t necessarily mean you’re training smart. So this week let’s up your triathlon training IQ and get some X into the mix. I mean, c’mon, we’re talkin’ about the sporting obsessed. Remember, the first triathlon wasn’t the sprint or even the Olympic version of the race. It started with the Ironman and worked backward to more conventional distances. And along that line of devolution, let’s take a look at how we can improve our triathlons by moving more of our training into our living room. P90X may seem like a big undertaking for that average person. I think you triathletes, however, are going to have to buy in to the “less is more” philosophy. Let’s face it: though the X is primarily a performance-based program, most of us do it because we want to look better. As one college baseball player said to me, “To be honest, I’m happy with my sports training. I’m only doing X to look good on the beach.” Yeah, well, Charles Atlas may be the guy you want around when the bully’s kicking sand in your face, but you sure wouldn’t want to haul all his bulk around Kona. Triathletes may want to look better, but the kind of muscles the Chest & Back workout develops is going to offset any strength gains by adding wind resistance to your aero position. For this reason, a serious triathlete needs to make some concessions in the P90X regimen. The upside is that as I said before, most of you are overtrained. This means you’d get faster by running, riding, and swimming less than you currently are. And that’s where the X comes in. By structuring your year periodizationally in a way that includes both strengthening your weak areas and recovering from your overused ones, you’ll get faster by spending less time working out. If you’ve got a race approaching, there’s no point in beginning P90X. It’ll break you down and slow you down. In a perfect world, you should begin your training program soon after your final race of the previous season. In an imperfect one, at least schedule X as far out from your main objective as possible. As a gauge, there’s no reason to start X if you’ve got a race approaching in less than three months’ time. Hopefully you’ve got six months; nine is even better. P90X is the foundation phase for your sport-specific training. This is why you don’t want to do it close to any important race. You may train right through early-season races, but you’ll get no benefit from X training close to an event where speed is important to you. All triathletes are familiar with periodization. You don’t all do it, of course, but you know that you should do speed work, aerobic work, and threshold work separately, then bring them together closer to your big race. Consider P90X to be the foundation plan for your foundation plan. 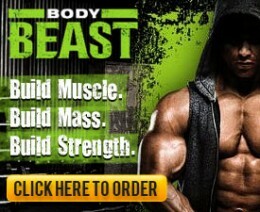 It’s where you’ll strengthen your body and improve its capacity for improvement in all the areas detailed above. Oh, the “R” word! This is where we don’t train, or at least don’t train hard. No pain, no hallucinations, no glycogen-depleted hobbles home after an 8-hour training day. The horror. But you know you’ve got to do it sometime, or you’ll become like one of those triathletes you know who’ve been on a plateau for the last 2 decades because they’re more addicted to their morning 3-hour swims than they ever could be to coffee. Here’s where you’ll want to place P90X in your schedule: at the season’s end when you shouldn’t be running, riding, or swimming anyway. Not only will it give you something new to focus on, but no matter how fit you are, it will blast your endurance-oriented cells into oblivion and leave you sore and tired enough to feel as though you’ve spent 20 hours each week on your bike. A full round of X, done during the off-season when you’re resting from your sport-specific training, would be preferable. Then you’d begin doing maintenance X work, along with your specific training increased in volume and intensity. You may want to alter the classic schedule or even do the lean schedule if you’re a high-level competitor who’s worried about muscular mass in a strength-to-weight-ratio sport. P90X won’t get you huge, but the classic schedule will almost certainly add size to your upper-body muscles. 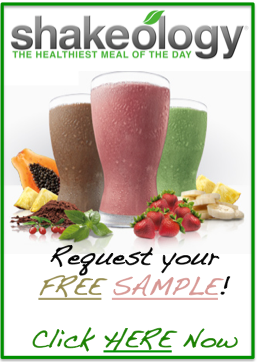 Whether or not you’ll find this a benefit is a call you’ll have to make for yourself. If you feel you need the overall body conditioning that P90X offers and are willing to sacrifice your race results for a while, you may want to put together a hybrid schedule that combines P90X with your current training. It’s hard to write a schedule for everyone because there are hundreds of personal variables to consider. This is why so many athletes hire personal coaches. Below is just one example of such a schedule. Yours should probably vary, but by using this template, you should be able to get an idea about how to make your own schedule. 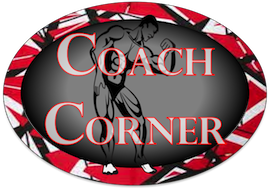 You could also consult my blog, where I create hybrid training schedules for myself all the time. I would write a schedule like this for individuals who are fairly triathlon fit but have been doing too much sport-specific training and are pretty weak outside their sport-specific movements, causing their triathlon times to have hit a plateau. This schedule contains no racing, but you could work races into it. Your personal races should all be labeled A, B, or C. A races are priority races. None should be scheduled near this period. B races are where you’d like to do well but not necessarily peak. These are to be taken seriously and none should be here either. Around B races you should be doing more sport-specific training. The difference between B and A races is that you may schedule a B race during intense training while you would always taper and peak for an A race. 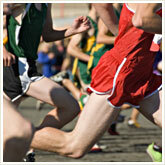 This schedule will address your weaknesses and get your ready for a C race. This is a race you enter so you can work on things like transitions, race tactics, and scheduling, and so you can dust off your racing form. Slow times are to be expected. 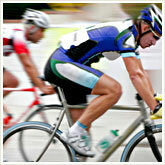 Your actual multisport training should be planned by you or your coach. 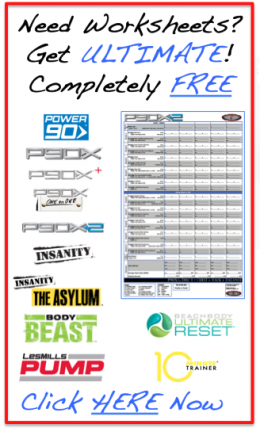 For P90X, I’m going to use a hybrid of the classic, lean, and doubles schedule. Note: Your sports training should be easy technique training done in zones 1 and 2. Note: Easy, again, is the key with your specific training. Your goal here is engram training: building neuromuscular coordination patterns. Note: Here you can begin coached workouts. These should still not be full-on as your priority is still on your X training. Note: This should feel like a true recovery week. 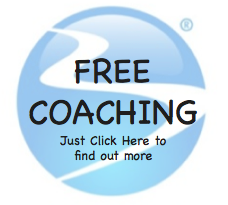 Note: There are too many variables to discuss your sport-specific training, so I’m leaving that to you and your coach. If you do race at any point in the schedule, alter it so you take at least a couple of easy days prior to the race. Racing always takes a lot out of you and you’ll want to avoid overtraining at all cost. I think it was Paula Newby-Fraser who said that it’s better to be 25% undertrained than 1% overtrained.